Data miners have noticed that the API for the rumored gifting feature in ‘Fortnite’ got some new updates. 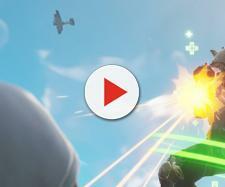 Epic Games recently rolled out a new “Fortnite” patch that introduced the Submachine Gun to the game’s battle royale mode. Epic Games isn't stopping there, as there seems to be more in store. Talk of “Fortnite” getting a so-called Party Bus this month has been making the rounds for quite some time; ever since it was previously leaked by several data miners. Dug up game files also suggest that the anniversary version, celebrated with the Day of Hoe event, of the flying vehicle, could sport a different color pattern (purple). 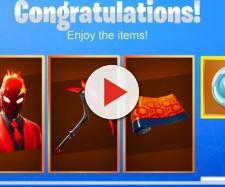 Leaked info about the game’s gifting feature also made the rounds, where players are allowed to purchase cosmetics within the Item Shop and give it to another “Fortnite” fan. Data miner @FNBRLeaks noticed that the game’s store API has been updated. If the string of commands is anything to go by, it may well seem to confirm that outfits can also be purchased in the Item Shop. He further explained that the feature is already enabled, though the feature has yet to go live. “Fortnite” could finally be heading to Android devices, as it was previously hinted in a post by a Chinese-based company known as WeGame. It was also initially revealed that three of the previously leaked cosmetics will be Chinese exclusives (the Insignia and Penguin back blings and the so-called Modern Glider). Turns out, one of the upcoming skydiving contrails could be included among these exclusives that are believed to be rolled out on July 24. Welp, here is all the cosmetics/trails/backblings/gliders that have been spotted that are connected to the WeGame client. That said, fans of the game here in the US are musing over the possibility of getting such cosmetics, albeit the fact that these will be solely released in China. Another data miner - @sud4nym - stated that interested players need to reserve/sign up for a WeGame version of “Fortnite” and create either a QQ or WeChat account. He pointed out, though, that it is not yet certain if players are able to link their created QQ/WEChat "Fortnite" account to their main accounts. 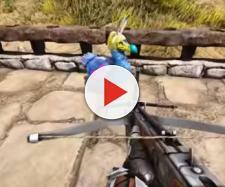 "How can I get the WeGame items?!" Those who were able to successfully create an account also provided some screenshots of confirmation from the website, as they claim that they were able to reserve both the contrail and the glider. However, a lot of them are still having a hard time registering to that website, probably because it’s written in Chinese. For the uninitiated, the company is under another Chinese conglomerate, known as Tencent, and this is the company that made “PlayerUnknown’s Battleground” possible for Android.